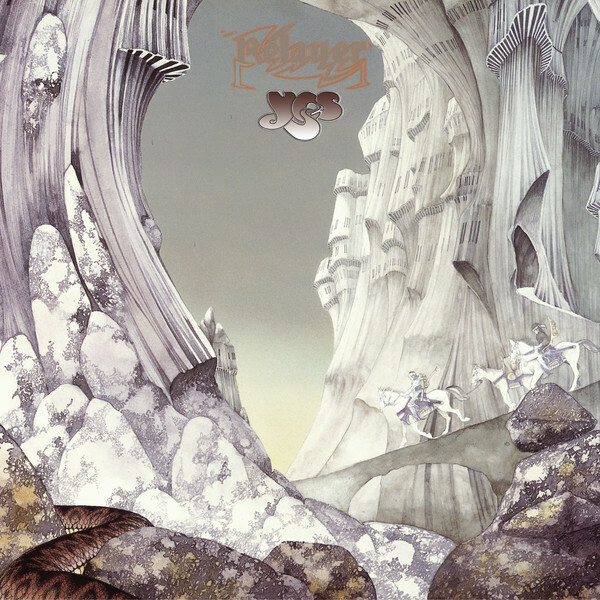 The Yes album Relayer, one of the band’s most adventurous and enduring records, was originally released in 1974. It is a progressive rock masterpiece that includes elements of jazz-fusion, and a looser feel, thanks in great part to keyboard player Patrick Moraz, and the sessions that were part of its writing. The album is a work of art, in its story telling, prose, virtuosic playing and beautiful cover art by Roger Dean. Its release was followed by two tours of North America, England and Europe, each segment utilizing amazing stage sets designed and built by Martyn Dean, resulting in the most impressive theatrical performances of their careers. Forty years after it’s release, Steven Wilson remastered the album from its original multitrack tapes in stereo and 5.1 sound, producing what is now the definitive release on CD and Blue-ray. 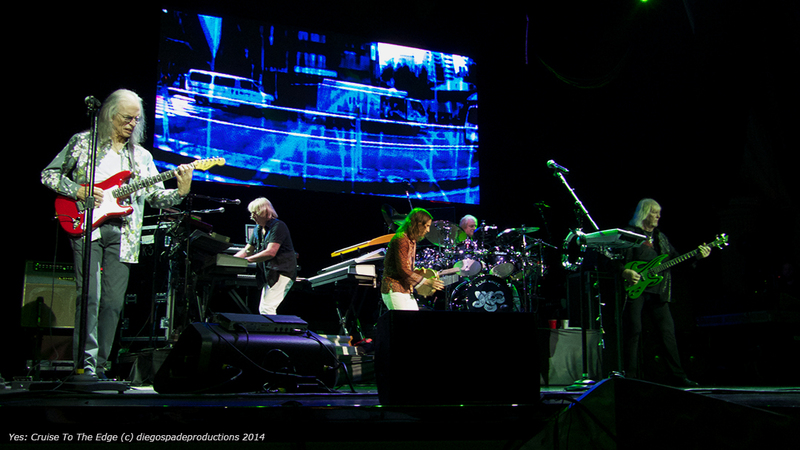 “The Gates of Delirium” is a prime example of Yes’s large-scale songs that are designed to take listeners on a journey, to take them to a place far removed from their beginnings. The song begins with a state of turmoil, the onset of war and reaches its climax in the middle with a musical depiction of war. A state of peace is attained after the battle, bringing the listener into a world free from the fetters of time and space. The beginning of the piece has a strong rhythmic force, which propels the music forward. The ending has an absence of beat and pulse, and produces a feeling of timelessness, quietude, and contemplation – a hymn-like atmosphere. While Tchaikovsky and Mahler give their final slow movements tragic overtones, Yes’s slow movements portray hope and transcendence rather than tragedy. It is music for the theater in our minds. The second side of the original LP contains two tracks that are masterful works in their own right. In particular, the jazz fusion influence brought by Moraz is demonstrated in “Sound Chaser” featuring his impossibly fast leads on the Fender Rhodes keyboard backed by similarly frenetic drum and bass runs – some of the best synergy between Chris Squire and Alan White on record. The frenetic middle instrumental passes between key and meter with vocal punctuations (cha cha cha, cha cha!). This music rewards only the attentive listener. The more gentle, melodic “To Be Over” makes a perfect closer for this brilliant album. The cover art for Relayer is one of Roger Dean’s most beautiful paintings. I felt fortunate to see this finely detailed work up close at a San Francisco Art Exchange showing in 2009, prior to seeing a Yes and Asia gig in the city. 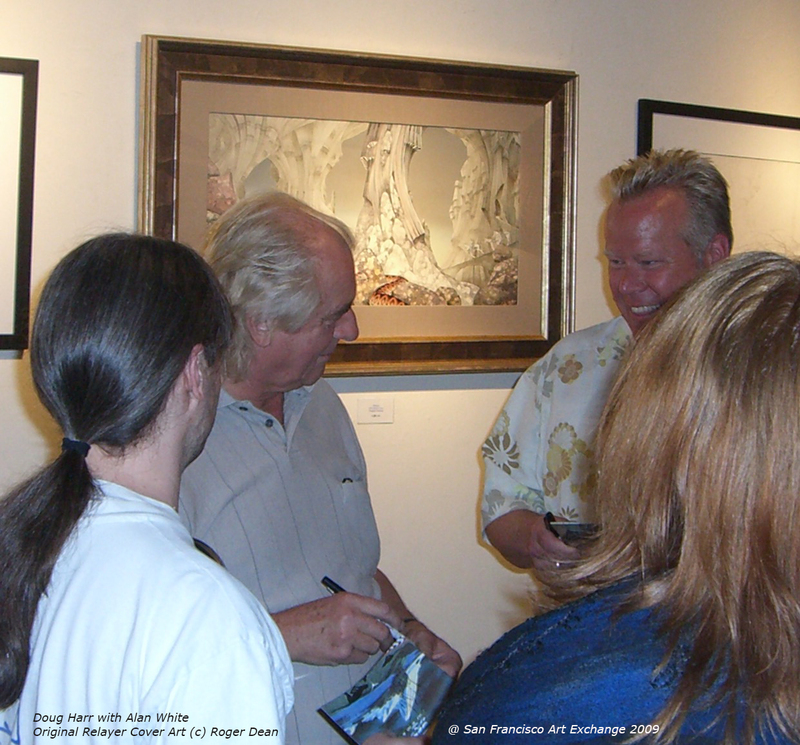 Roger once described the painting: “Relayer was really a pencil drawing –I’ve said it jokingly but it was almost painted with dirty water- its got so little color in it. It wasn’t a conscious intention to do a contrast– it was just how that should have been – just the right way to do it – to this day it’s definitely one of my top 3 favorites.” A poem by Donald Lehmkuhl sets the tone for Jon’s lyrics and Roger’s cover art; it begins with the line, “Snakes are coiled upon the granite.” As rendered, the artwork imagines an otherworldly, nearly colorless historical setting for “Gates” creating the perfect packaging to match the musical genius inside. As to the latest remastering, the CD and Blue-ray DVD present the best sounding versions of the albums I’ve heard to date. In an interesting turn of events, the battle sound effects from the original mix of “Gates” are not included on the remastered versions of that track as they were not found on the multitrack master tapes. Not to worry, as original album versions, including two with the needle drop are included on the DVD. In addition we get single edits of “Soon” and “Sound Chaser” along with a studio run through of each track. It’s nice to have the clean Blu-ray stereo pressing of “Sound Chaser” live from Cobo “Hall” (an arena in Detroit, Michigan) in 1976, though it was previously available on The Word Is Live, and would have been more valuable had it been paired with “Gates” (which appeared on YesShows) and a version of “To Be Over” from the prior year. It would in fact have been a notch better if an alternate live performance of the entire album was included, and even more interesting if any live video had been added. Having said that this now definitive set contains a wealth of audio to consume and appreciate. As to live video, the only complete film from this period is a valuable if flawed document of the Relayer tour at Queen’s Park, London from May 10, 1975. The picture is excellent considering the era, though because it’s the early leg of the tour, and the band played during daylight, the staging effects are poorly captured. Unfortunately, the sound is poor during the first segment of the show, and never completely recovers. 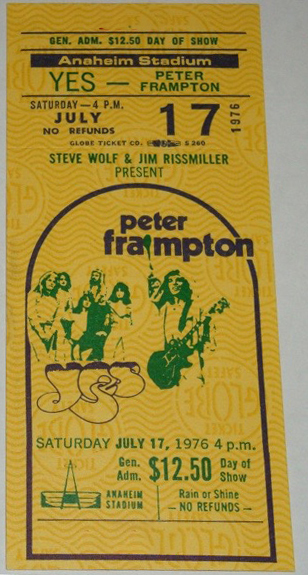 At some date we may see unearthed footage from later segments of this tour, which eventually ended with the most impressive staging of the band’s history. For now it is the most important footage of this incarnation of Yes. The “Crab Nebula” was a three-headed creation that towered over the band, fit out with spotlights, and built to emerge and vanish during the show, because as Martyn noted “Anything that’s onstage for three hours becomes boring if you can’t make it vanish.” Ten people worked for three months on the “Crab Nebula” structure, made with wood, aluminum, foam, plaster and varnish, resulting in a transportable, sturdy construction that kept it intact and functional through the summer tour of stadiums and coliseums, which ended in August of 1976. 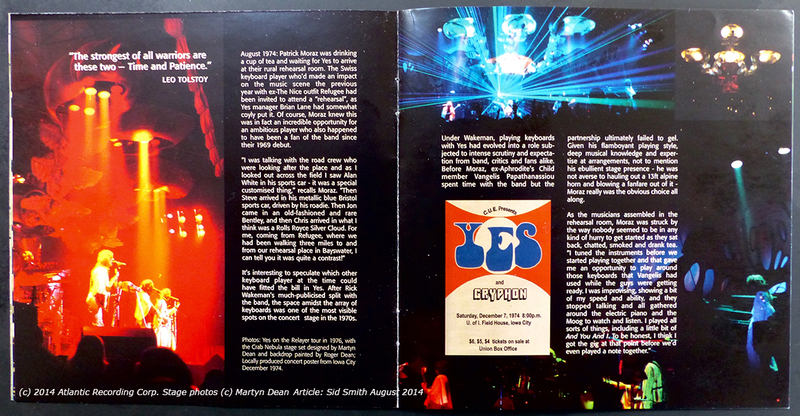 This was part of Martyn’s work with Yes over a seven-year period, when he and his team produced increasingly sophisticated and impressive staging. Along with the cloth backdrop designed by Roger and made by Felicity Youlette, it represented scenery and craft raised to the level of artful theater. Music, lyrics, poetry and art come together on Relayer, creating a sumptuous package. Considered along with its legendary performances, this is one of the pinnacles of 1970’s era progressive and classic rock. Been thinking since Sunday about what to say after the passing of Chris Squire, the immensely talented bass player and vocalist for Yes. I’ve seen Chris play live over the years at more than a dozen Yes shows, and every time his performance has been incredibly entertaining and inspiring. He is one of the most important musicians of our time and will be sorely missed by fellow artists and fans alike, as evidenced by the outpouring of remembrances and condolences over the past week. Yet the band Yes will continue and change once again, as they have so many times over these more than 40 years. And that’s an honor to Mr. Squire, and a very good thing indeed. Squire’s treble register. Squire spent as much time exploring the upper register of the bass as he did the lower. Utilizing such a wide pitch range gave him the ability to construct his elaborate bass lines, take solos, and interact with the other melodic instruments in the band (voice, guitar, and keyboards). Most players create intensity by developing a low, growling tone. Squire not only did that (the “Roundabout” bass line), but he created the same intensity in his upper register. Squire’s use of a pick. Squire was not the first to play the bass with a pick, but he was among the early pioneers. His use of a pick gave his playing the speed, execution, and punchiness that most other bassists didn’t have. Squire’s participation in the “emancipation” of the bass. I like to compare what players like Squire did for the bass guitar to what Beethoven did for the cello. In the Classical period before Beethoven, composers often gave cello players a boring job: just play the root position notes that underlie the harmony. Haydn and Mozart came along and gave cellists more interesting parts, but it was Beethoven who treated the cello as an equal instrument alongside the violin and viola. In his string quartets, the four instruments are equal partners. 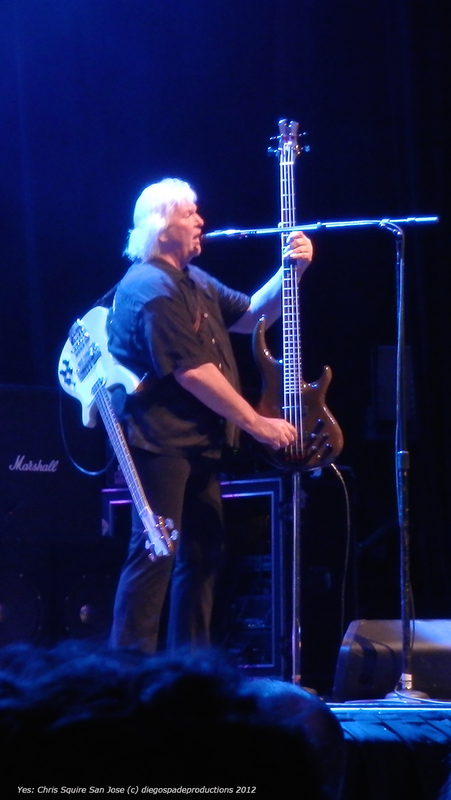 Chris Squire did the same for the bass guitar. Instead of playing just the basic notes that outline the chord progression, they created melodies of their own and became an equal partner with the other instruments. It’s as if Squire is soloing all the time, but he’s still laying the foundation for the song. Like Paul McCartney and John Entwistle, Squire stands out as a great bassist because he treated his instrument as a melody instrument. Squire’s band mates helped him become great. It’s obvious when listening to Yes that the other members never dictated to Squire what to play. He had the freedom to make his bass parts as elaborate as he wanted. Not only that, the other players “took over” some of the traditional roles of the bass guitar in order to let Squire become the melodic player that he was. Steve Howe, Peter Banks, Tony Kaye, Rick Wakeman, and Billy Sherwood often played the low-end notes and the basic rhythm of a song while Squire did something else. All keen and valid observations; thank you Tim! It’s particularly important to understand that his bass melodies share the sonic palette as an equal partner with the other instrumentalists. In addition, the other aspect of Squire’s talent as a musician was his powerful vocals. 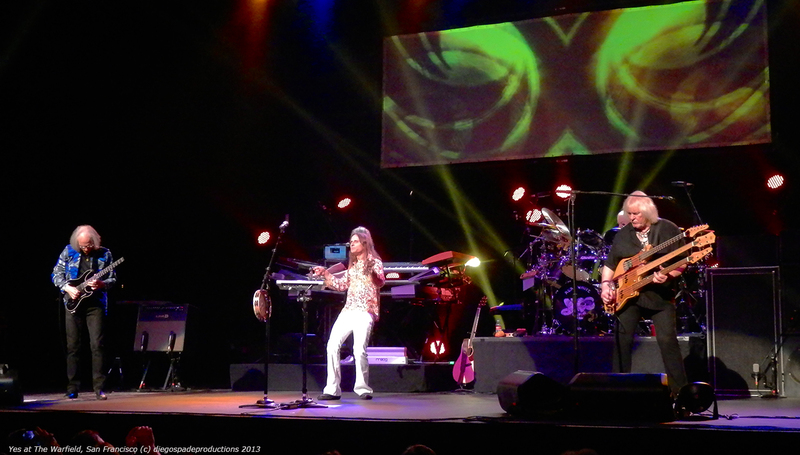 Chris could almost be called the co-lead vocalist of Yes, so frequent was his simultaneous harmonic pairing with Jon Anderson, Trevor Horn, Benoit David, and Jon Davidson. The signature Yes sound relies in large part on these vocal harmonies. At every show I attended Chris was consistently in strong clear voice, and it’s an important part of his legacy. Which brings us to Squire’s longevity and legacy in general. 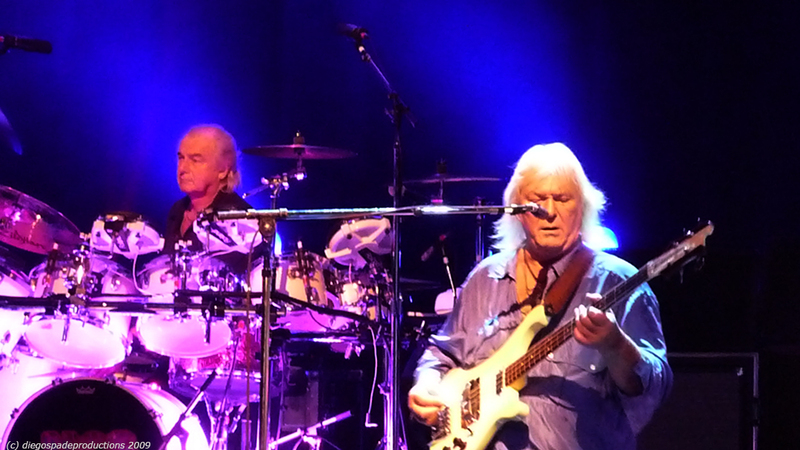 Provided one does not count the Anderson, Wakeman, Bruford, Howe album as Yes, Chris has been in every incarnation of the ever-changing Yes lineup, enduring for over 40 years. Other band members have come and gone, some with fairly prolific solo careers, particularly Rick Wakeman and Jon Anderson. Yet with the exception of his outstanding 1975 solo album Fish Out Of Water, and a few other collaborations, Squire’s primary focus had been Yes. He poured every ounce of his focus and his talent into it’s many incarnations, helping drive the relentless touring schedule that has kept the music alive. And it is important that Yes does live on and endure, as they have thus far when other band members have passed on or have left the fold. The fundamental reason for this is clear – the band has produced a huge catalog of music, rife with stellar compositions and virtuosic musicianship. This music should and will be played even after the original and long standing members are no more. As evidenced recently when Squire first announced that his illness would preclude his involvement in the upcoming Yes tour and he indicated his support for collaborator Billy Sherwood to carry on in his stead. “The other guys and myself have agreed that Billy Sherwood will do an excellent job of covering my parts and the show as a whole will deliver the same Yes experience that our fans have come to expect over the years.” I for one am very interested to see who will fill in for Chris over the coming years and what kind of interpretations they will do of his work. Let’s celebrate the fact that progressive rock music, particularly as composed by bands such as Yes, is that good. That it is a valid and viable form of music and it can continue to be interpreted for original and new audiences, just as has been the case with classical and original jazz forms. While any original members survive and are able, they should be part of the family that continues in this pursuit. 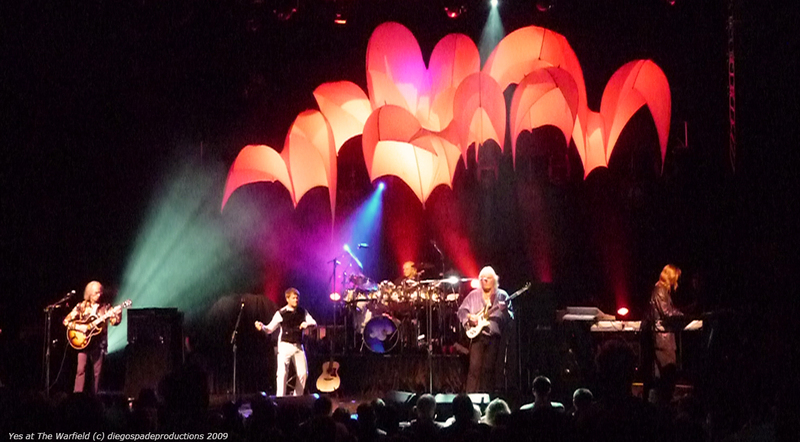 While I can still catch Steve Howe, Jon Anderson and the other band members, either together or solo, and while they can still play, I will continue to attend their live shows, and will continue to recommend others do as well, provided they still enjoy the results. As new musicians come to the fore and perform this music, if they do it well, I will be there to enjoy their mastery of these works and honor the memory of those who came before them. The band are on tour this summer with Toto, then hosting the third annual Cruise To the Edge voyage this November and they will begin a tour of the UK and Europe next year, having announced that the set list will include all of Fragile (1972) and Drama (1980). Both of these albums showcase some of Squire’s most intricate bass leads, and so it’s fitting timing that these will be the focus of this upcoming tour. 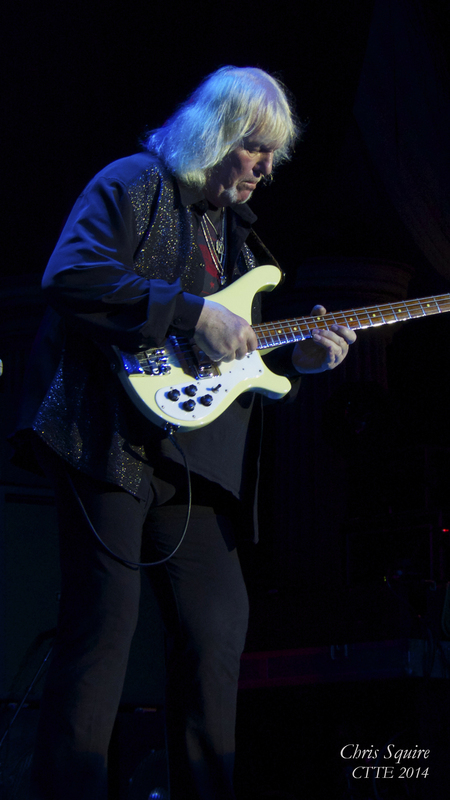 We were all deeply saddened to hear of the passing of the great Chris Squire and I for one will be at the upcoming shows and beyond, to celebrate his life’s work and continuing legacy.